It wouldn't surprise me if this potential trilogy lead directly into Seed of Destruction. Well it seems obvious, given when this takes place, and he doesn't have much story to tell after SoD. I've only read the first issue of this so far, but it was pretty darn good! Rise of the Black Flame was excellent so I was glad to see the same team on this. For some reason I like Chris Roberson's writing better on series like this and Witchfinder than on Hellboy and the BPRD. I'd love it if they did a sequel to this mini-series that could maybe even make another loose connection to things like Sledgehammer 44. Second general thoughts. 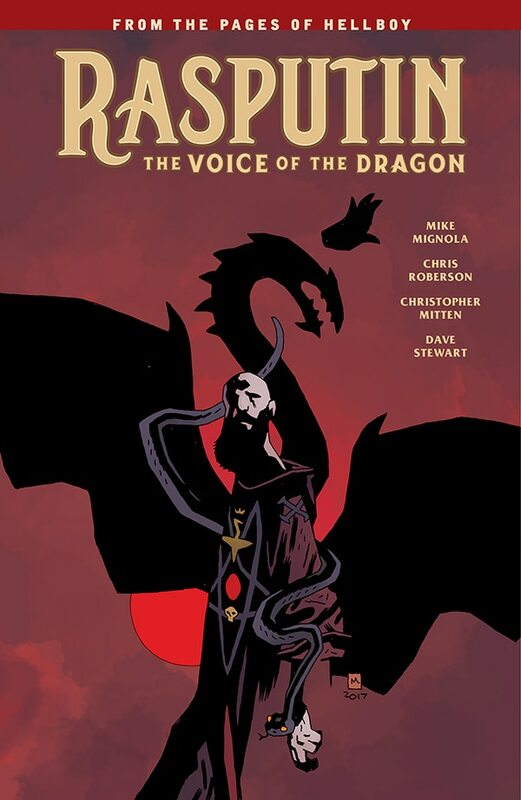 Unlike other Roberson side-stories (like Black Flame and The Visitor) this mini is not strictly done-in-one and has a potential to continue till the Hellboy arrival. To form in the end, for example, a trilogy of mini-series (for omnibus format obviously) about Trevor Bruttenholm and Rasputin cat-and-mouse games. Last edited by Shargor; 06-11-2018 at 04:08 PM. That would be cool. The more I reread this series the more I like it. I hope we get more historical adventures from Roberson and Mitten. Or even just one more story. I could see a second involving Helena Gallaragas, and then they could be collected with Sledgehammer 44 in a World War II themed volume. Ooh yeah, that'd be great! Maybe we could see some more of the WWII villains from Johann's scrapbook too. And don't forget, the tpb collection is due out July 25th. Me too! I would love for them to show some more of the history between Rasputin and his nazi cronies.